Remodel your laundry room, replace your old washer and dryer and get everything you need to do it at RC Willey. 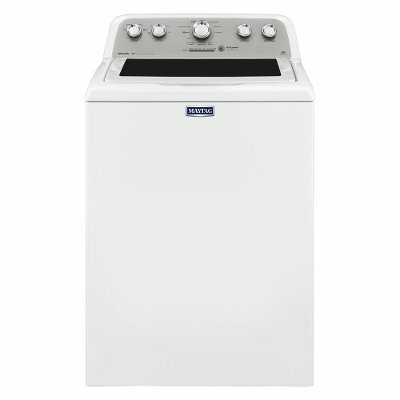 This Maytag Laundry Pair comes with a Top Load Washer and Electric Dryer in a white finish. This white 4.3 Cu. Ft. Top Load Washer from Maytag is available now at RC Willey. Bravos laundry pairs are Better Built to deliver all kinds of clean for all kinds of clothes. It starts with this 4.3 cu. ft. washer. We combined the Best Cleaning in its class driven by the PowerWash system with the steel rod construction of the industry-exclusive Smooth Glide drawer. This means you can count on added movement from the Power Impeller for deep cleaning, and consistent loading for your detergent in our optimal dispensers. Plus, this model is built to last thanks to the sturdy Maytag Commercial Technology we put under the hood, and the 10-year limited parts warranty on the drive motor and wash basket. This 7.0 Cubic Foot capacity Electric Dryer from RC Willey is all business when it comes to getting your largest loads evenly dried. 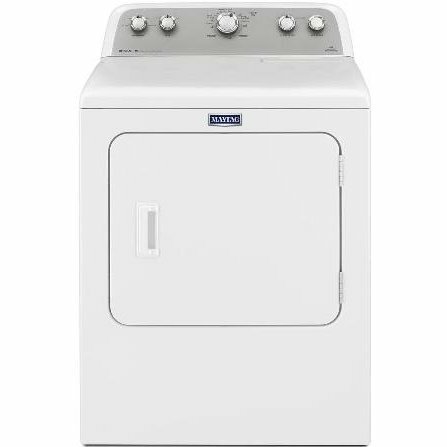 Pair this Maytag Dryer with the matching Washing Machine for the ultimate clean! You can count on this 7.0 cu. ft. Bravos® dryer to handle any demanding job, and then keep everything ready to wear with features like the Wrinkle Control option. If that's not enough, it's packed with sturdy Maytag® Commercial Technology and backed with a 10-year limited parts warranty on the drum and motor for the first time ever on a traditional dryer. The heavy-duty motor adds high-torque action with optimized airflow, while the IntelliDry sensor keeps an eye on moisture. Plus, the Sanitize cycle is great for those items you can't put through the washer. Best of all, this dryer is designed, engineered and assembled in the U.S.A. with real American pride. Count on these dryers to get your largest loads evenly dried every time. The Sanitize cycle removes up to 99.9% of three common household bacteria. These dryers come standard with high-performance, commercial-grade parts. The heavy-duty motor provides faster spin speeds, which work together with optimized airflow for exceptional drying. We're so confident in the reliability of our dryers that we back the drive motor and drum with a 10-year limited parts warranty. We don't just tell you that it provides excellent drying for years, our 10-year warranty lets you know we mean it. 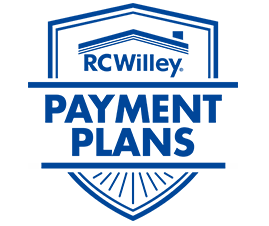 We take pride in building strong, reliable appliances for your home. From Marion, Ohio to you, these dryers are designed, engineered and assembled in the U.S.A. Designed to dry clothes such as knits and permanent press fabrics, this cycle minimizes wrinkles by providing a longer unheated tumbling period at the end of the cycle. These 7.0 cu. ft. capacity dryers have plenty of space to dry 18 towels in a single load. The IntelliDry® sensor keeps an eye on moisture levels to automatically stop the cycle when clothes are dry.